Multicultural Kid Blogs has a wonderful Summer Games Activity Pack to get your kids ready for the upcoming Olympics in Rio. 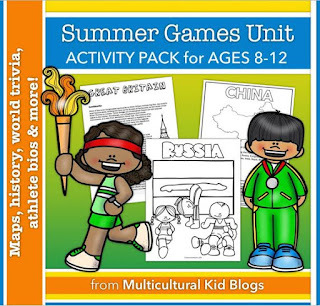 This summer games activity pack is a comprehensive unit that teaches your children on the history of the Olympics, participating countries, sports played, the athletes, and many more activities. 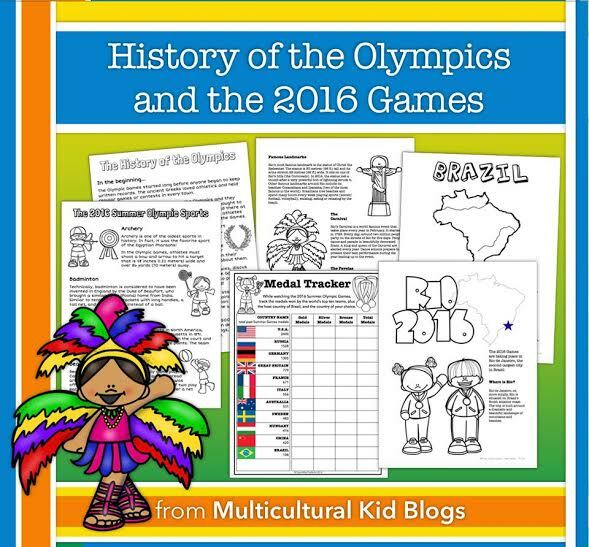 You can read the full product details on Multicultural Kid Blogs <- just click on the link. Disclosure: I received an electronic copy of this book from Multicultural Kid Blogs for the purpose of reviewing it. I did not receive monetary compensation for this review. All opinions are my own. We have been having fun reading and learning about the countries, and the Olympics! For instance, one of the countries in the packet is Sweden. I made a folder for each country. On the front of the folder I stapled the cover page of each country, and inside added the sheets from the activity pack. Little one enjoyed reading about Sweden, especially about the wildlife, and the vikings. He even made his very own Dala horses as an extension activity. For China we ventured into trying the recipe Chinese Almond Custard. This was such a simple and easy to do recipe. My little one loved the custard, and it gave him an opportunity to try a Chinese recipe. These are just two of the activities that I’m featuring in this post, and there are much more to do! This pack has a 109 pages of information on the participating countries, sports being played and about the Olympics. What I love as a parent, and educator is that this packet is truly hassle-free! No-prep means more time to do the activities than researching for them. Really, as a busy mom I don’t have time for that! 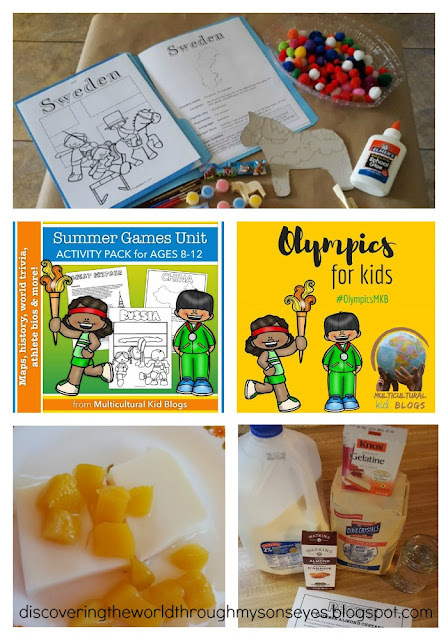 The best thing about this activity pack is that you can use it after the summer games as a resource on sports, and the countries featured in it. The activities range from the sports being played at the Olympics, to maps and flags of the countries. You can use the packet with children ages 8-12, and you can easily adapt to your child’s interest. My son was more interested in the recipes than anything else, so that’s where I focused my attention. on. Learning about a country through a hands-on activity like trying a recipe and eating the food is the best way to learn! We have yet to finish the summer activity pack. We can’t wait to explore the other countries, and learn about the athletes competing in Rio this year. Thank you so much for your review. Glad you find it useful. We are all busy and it is pretty much stand alone for all parents and teachers.